Americans are full of personality， their favorite eyelashes are more exaggerated, dense, and individuality. Based on this, Qingdao Cannes Cosmetics Co., Ltd. designs and develops 25mm long 3D mink lashes. Because of long, curly and thick hair, It is extremely difficult and time-consuming in the production process. 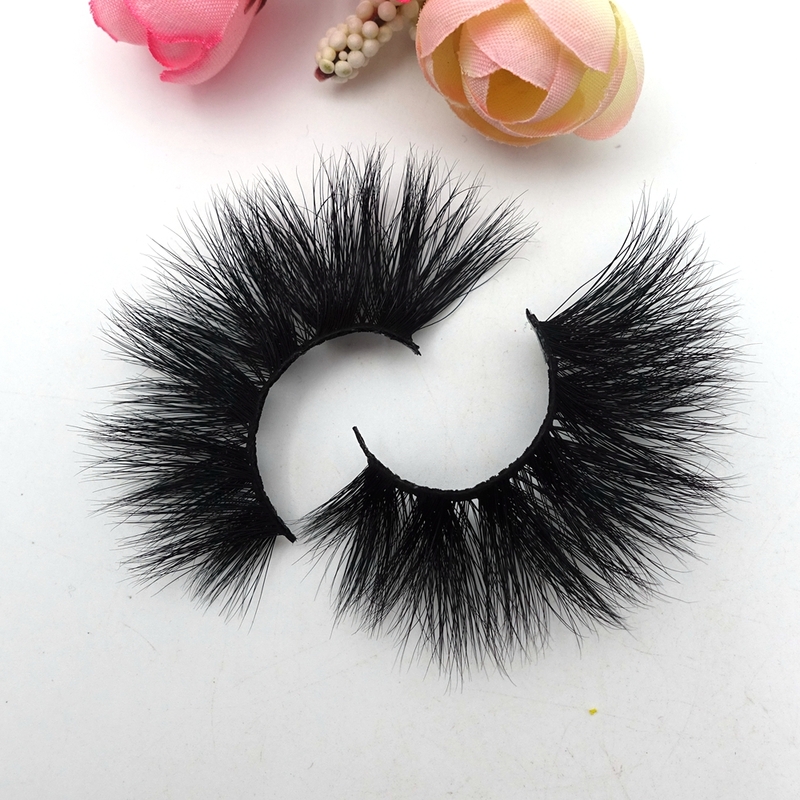 In order to ensure the effect of the false eyelashes, all we use are the longest hairs from tail of mink; In order to ensure the softness of the hair, all hairs selected are all from 1-2 years old mink. Hair peaks are very long, and haven’t been disconnected,and also haven’t Upside down hair. 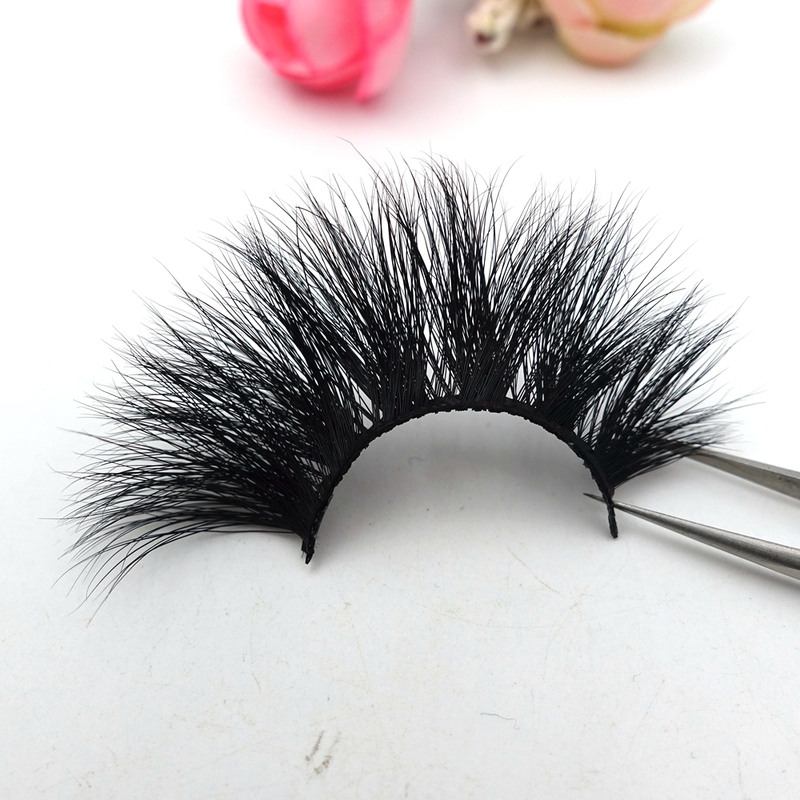 The other cheap and low-end mink eyelashes are all used short hairs from other parts of the mink body. And they don’t care of hair age, quality, and many hair peaks are disconnected, even some hair follicles and hair peaks are mixed together,so it looks unnatural. The other lashes suppliers’ eyelashes are bought from us or provide our pictures to clients. They don’t understand technology, the eyelashes made by them looks like ruderal, eyeliner is stiff too. Because they only know copy, do low-cost competition, so can’t ensure quality and delivery time ! And can’t ensure whether or not the eyelash style will be popular! you get what you pay for! Dear, in order to protect your interests, we will continue to work hard! Qingdao Cannes Cosmetics Co., Ltd keeps up with the trend of the times,The new fake eyelashes styles that are brewing will be introduced to the market! 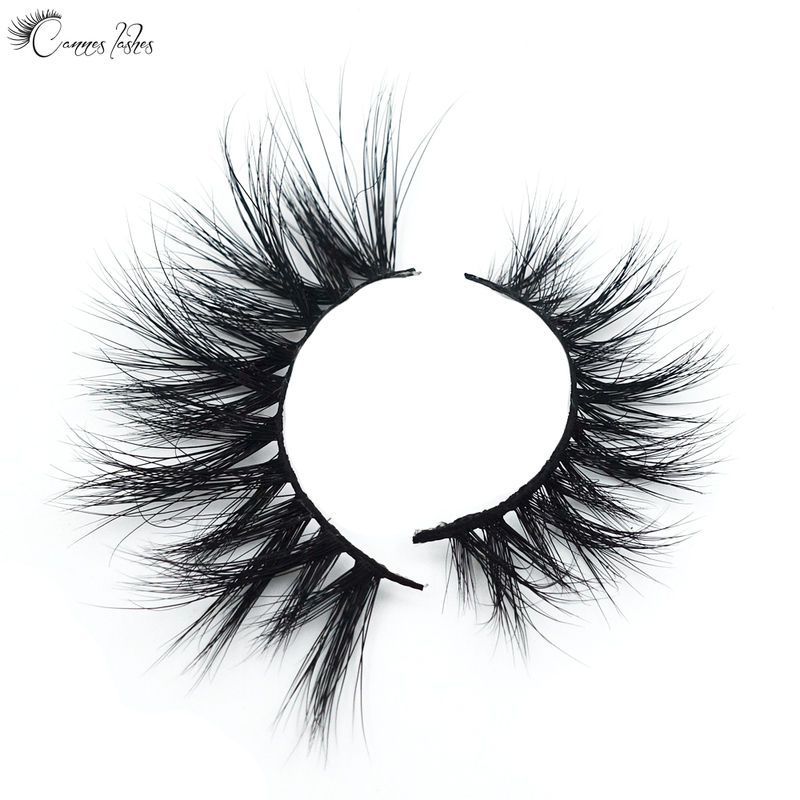 25mm big long eyelashes,100% hand made,25 processes are carefully crafted!